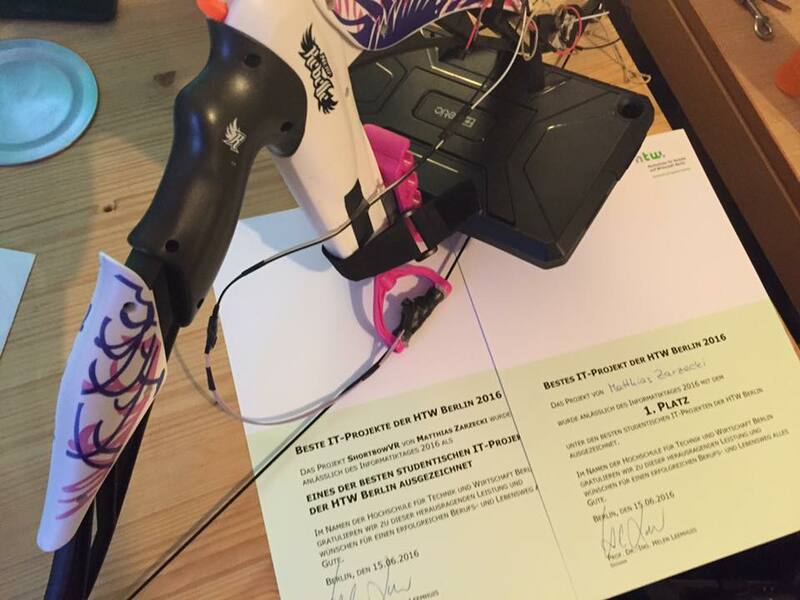 ShortbowVR has just been won the title of Best IT-Project of the HTW Berlin! It went up against 18 other amazing projects, which were pretty neat too. Those included automated face-swapping, procedural animation and custom sensor-boxes that could be read out over the internet.